It's always our goal to make your ordering process as efficient as possible. 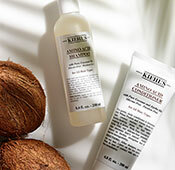 Learn all about our shipping policies and procedures below, and note our unique Kiehl's Since 1851 Guarantee, created to ensure that you are always pleased with your purchases. Our orders are shipped and delivered on business days (Sunday through Thursday excluding major holidays). Our standard shipping carrier is Aramex. We kindly ask that you anticipate 1-2 business days for standard shipping. Standard Shipping Charges apply. 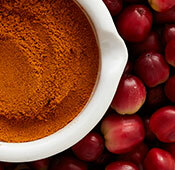 We process orders in the order in which they are received. If you want to check the status of your order, please use the tracking number included in your shipping confirmation email. If you have questions about your order, please call us at 04 503 18 81 or email us at Customer Service and we would be happy to assist you. 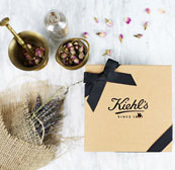 If you need to change an order you have already placed, please contact a Kiehl's Customer Representative at 04 503 18 81 or email us at Customer Service and select the subject "My Order" and topic "Can I Change My Order?". To expedite your request, please have your order confirmation number available. We will always do our best to accommodate your needs. 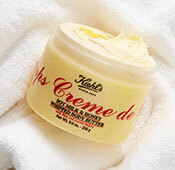 If your order is missing a product, contains a damaged item, or other concern, please contact a Kiehl's Customer Representative at (04 503 18 81) or email us at Customer Service. To expedite your request, please have your order confirmation number available. We will always do our best to accommodate your concern as efficiently as possible. 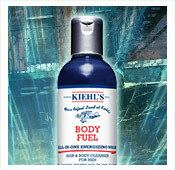 Unfortunately Kiehls.ae does not offer any returns. We regret that we do not ship outside the UAE. 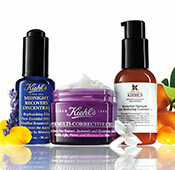 at this time for orders placed at kiehls.ae. 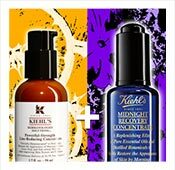 Please refer to our Kiehl's International Retail Locator for a directory of stores that offer Kiehl's products, listed by country.